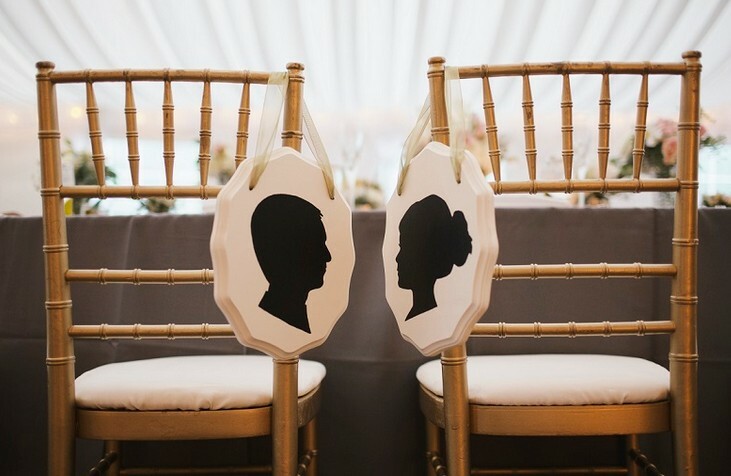 Make silhouettes of the newlyweds and use them as chair signs! See more photos from this wedding on the source. See a tutorial for making silhouettes of objects and attaching the silhouettes onto wood slices.